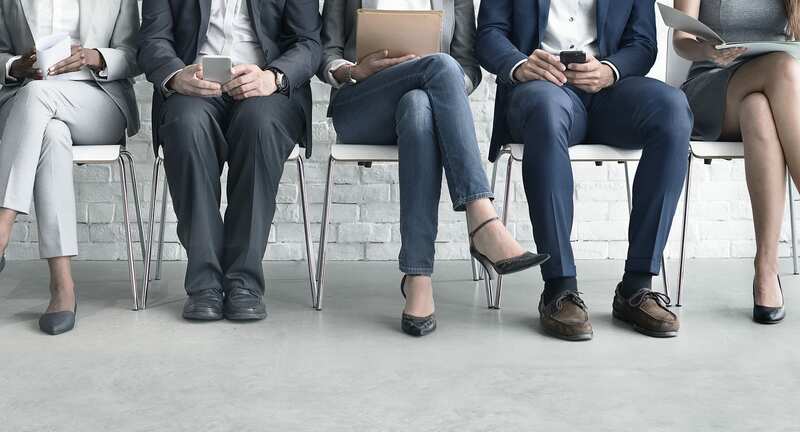 With data becoming increasingly central to businesses, businesses are betting big in zeroing down on the right talent. Lucre aside, analytics has become central to running enterprises efficiently. 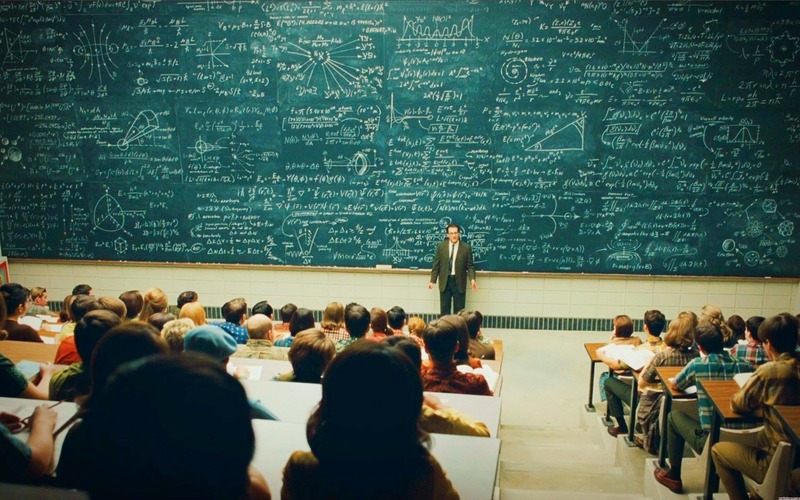 Amidst the sheer volume and the variety of data generated, what organisations are looking at is a well-structured data and findings in a consumable format that makes some sense. Organizations want to hire professionals who can not only slice and dice, but communicate their findings effectively to senior leadership as well. This is where the all-time high demand for analytics professionals comes in. Analytics India Magazine in association with AnalytixLabs presents the annual, comprehensive Analytics India Salary Study 2017 that gives peek into the various aspect of salary structure for every professional who wants to makes a head-start in this industry. Download the report to get to know the in-depth salary trends across various sectors, skills, tools and domains. The average analytics salary in India for year ending 2016 was INR 11.7 Lacs across all experience level and skill sets. This is the highest average salary for analytics professionals ever, with almost 22% increase since a year ago. Average analytics salaries in 2016 were 9.5L. Though overall the number of analytics professionals increased last year, the percentage of professionals with salary in 0-6L band decreased from 42% to 39%. There has been visibly more demand for senior professionals last year, thus pushing the average salaries higher. On one hand, the percentage of Analytics professionals commanding salaries less than INR 10 Lacs has gone; % of Analytics professionals earning more than INR 15 Lacs has increased from 33% in 2016 to 37% in 2017. Analytics professionals with salaries in extreme bracket of 50+L have increased significantly this year – to 3.7% from just 1.1% a year ago. On average, analytics professionals receive around 30% higher salaries than IT professionals in India. While, the average salaries of Analytics professionals stand at 11.7L, that of IT professionals is at 8.65L, of professionals in Primary Research is 9.03L, Financial research at 8.96L and that of Secondary research is 7.83L. Just 39% of analytics professionals have salaries under 6Lakhs vs 58% in IT. 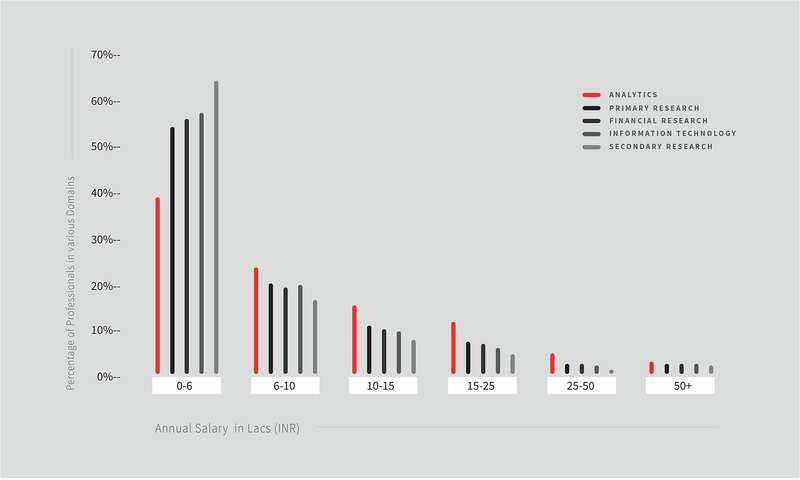 28% analytics professionals in India earn in the salary bracket of 10-25L. This number for IT professionals is 17%. Advanced analytics/predictive modeling professionals are paid the highest salaries compared to their analytics peers i.e. 14.7 Lacs on average. Big data professionals and data mining professionals get up to 13 Lacs & 9.9 lacs on average. 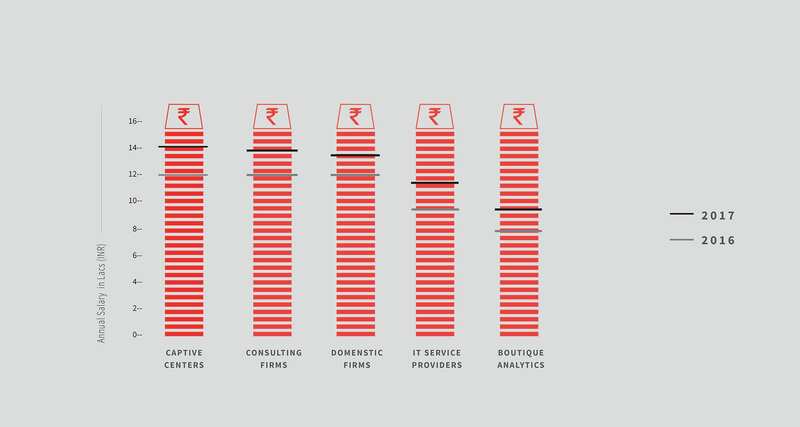 BI, Reporting , MIS professionals get upto 8.3 Lacs on average and data engineer an average of 11.5 Lacs. Hadoop professionals command an average of 12 Lacs. 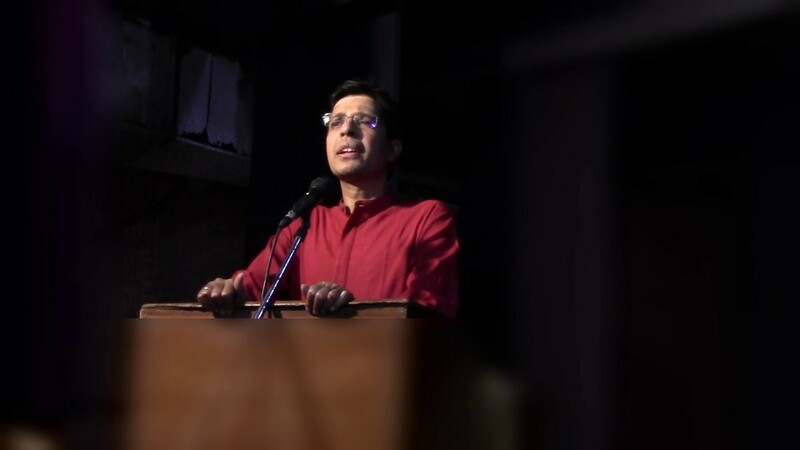 The salaries increased by around 21% since a year ago of 9.9L. Spark professionals command an average of 10.1 Lacs with an increase of almost 15% from a year ago of 8.8L. NoSql/ MangoDB professionals receive an average of 11.5 Lacs, a slight increase from 11.1L since a year ago. Qlikview professionals command marginally higher than Tableau professionals in visualization skill jobs – 12.1 Lacs vs 11.7 Lacs on an average. Visualization tools salaries have increased around 28% since a year ago. R programmers receive the highest average salaries this year in adavcned analytics tools skillset – at 11.1L. R have defeated SAS, SPSS and Python in terms of average salaries this year. On an average, professionals get up to 10.3 Lacs for SAS, vs 8.7 Lacs for SPSS professionals. SAS salaries have increased by just 13% since a year ago. Python gets a higher pay of 10.5 Lacs compared to SAS and SPSS. Yet, Python is the only skill set for which the average salaries have decreased since a year ago – by almost 7%. Average salaries across all cities have increased by more than 20% for analytics professionals this year. Pune saw the highest increase in analytics salaries by almost 30% – from 8.8L to 11.4L this year. Mumbai retails its spot for highest salaries in Analytics at almost 14L per annum – an increase of 22% from a year ago. In the 0-6 Lacs bracket, Hyderabad dominates other cities with 42% of analytics professionals earning below 6 Lacs followed closely by Pune at 39%. 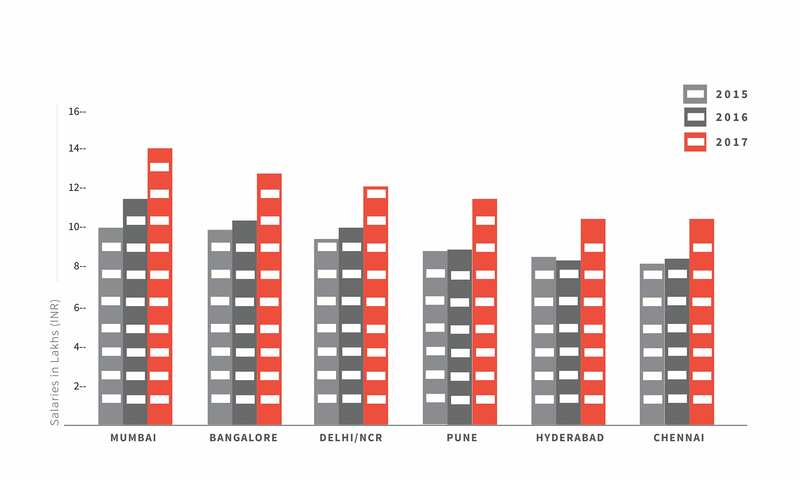 Mumbai leads the pack in more than 15L salary bracket, with 28% earning within this bracket, followed closely by Bangalore (25%) and Delhi/NCR(22%). Analytics salaries saw the biggest jump at the entry level (0-3Yrs experience) last year. There was almost a 61% jump in salaries in this experience bracket – from 4.1L to 6.6L average. 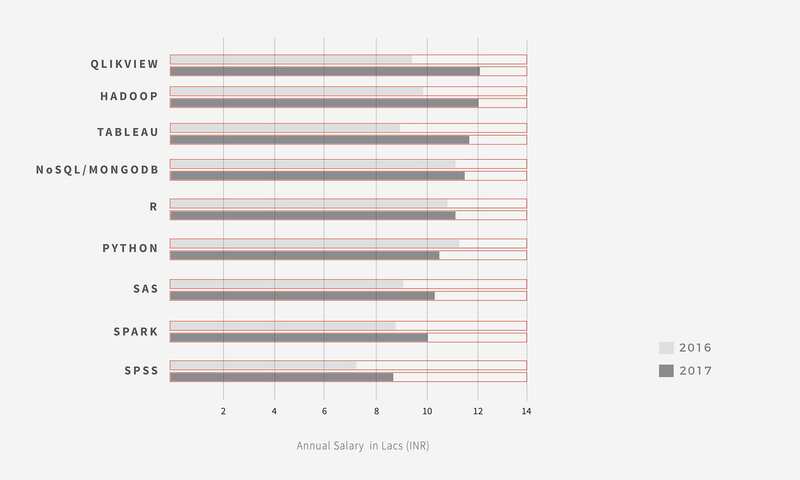 At entry level, almost 76% of analytics professionals are under the 0-6 Lacs salary bracket. For other experience brackets, the salary increases have been relatively lower, especially at higher experience bracket – at 12+ years experience, the salary rises in analytics have just been 4% last year. A transition to senior analytics leaders, with more than 12 years of experience, can lead to almost 50% increase in salaries. This year, Captive Analytics centers tend to be highest salary providers in analytics, at an average of 14.1L. They were followed by Consulting firms at 13.9L and Domestic firms at 13.6L analytics salaries on average. However, Boutique analytics firms continue to pay the lowest – an average of 9.5L, albeit a 20% hike from last year of 7.9 Lacs. Large IT service providers pay 11.4 Lacs in analytics, an increase of 20% from 9.5L. 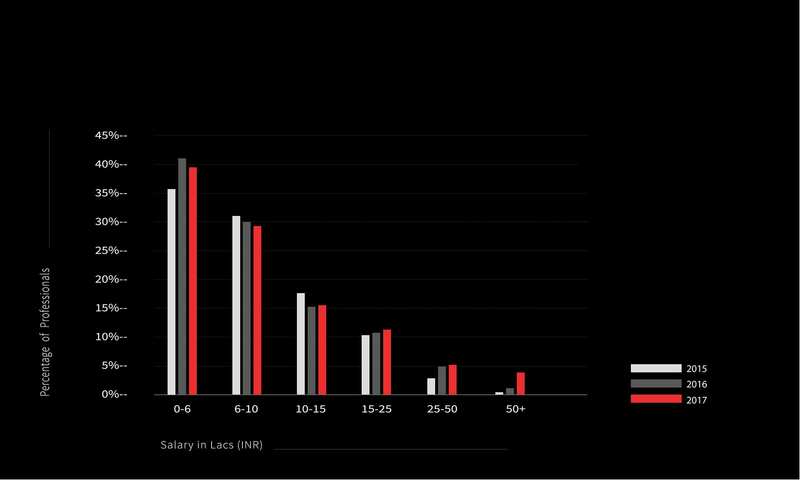 Domestic Indian firms have been the slowest in increasing the analytics salaries last year. They currently pay an average of 13.6L, an increase of just 13% to their analytics/ data science teams. And like previous year, Hadoop, R, Spark and Python remain the most sought after tools by the employers, with a better pay package to those with advanced analytics/predictive modeling skills compared to data mining and BI tools. Overall, the study, a great analytics find is a nudge in the right direction and will fuel hopes of making a career in analytics domain.